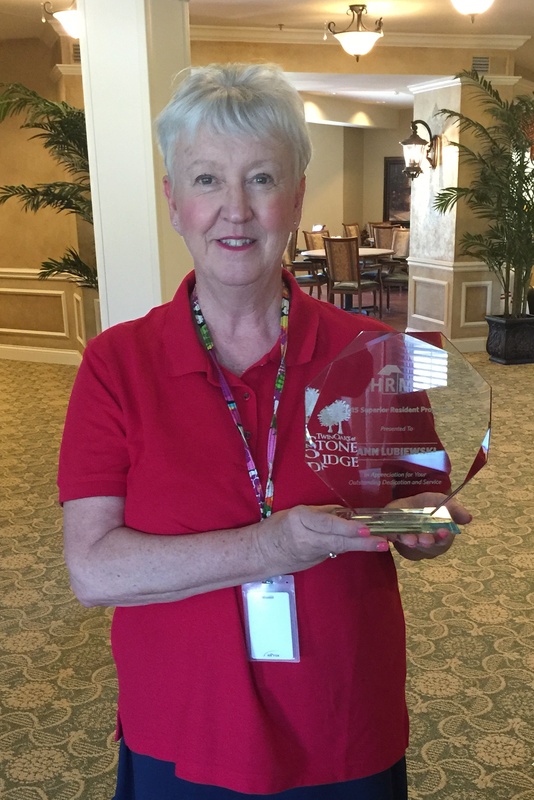 This month, Housing Residential Management Services (HRMS) presented three honors to Twin Oaks at Stone Ridge in Wentzville for its outstanding service and commitment to senior living. HRMS named the affordable senior housing campus Property of the Year. HRMS runs 25 properties throughout Missouri. This is the first time Stone Ridge received the award. 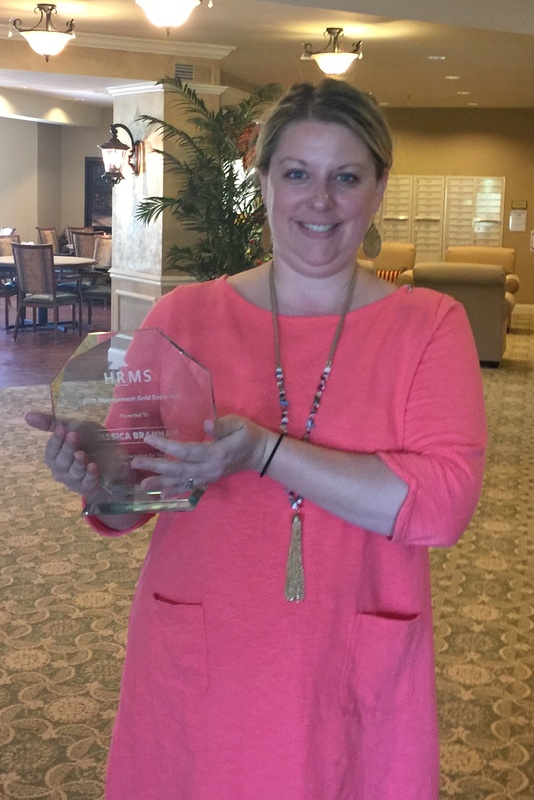 Along with that high honor, Stone Ridge Manager Jessica Brannan received the Gold Property Manger award for outstanding facility management and Activity Director Ann Lubiewski received the Outstanding Resident Services award. Lubiewski was hired in March 2016 to develop a schedule of resident activities at Stone Ridge. Ann Lubiewski, activity director at Twin Oaks at Stone Ridge. Twin Oaks at Stone Ridge, located at 280 Santa Elena in Wentzville, is owned by Twin Oaks Senior Living. The campus has 48 independent living apartments for older adults age 55 and over. Twenty single-family villas are currently under construction on the property, all of which are already leased and the wait-list includes 60 names. 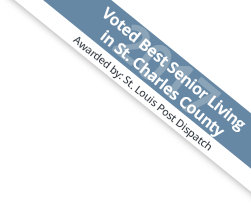 Twin Oaks Senior Living provides three retirement communities in O’Fallon and Wentzville, MO. Twin Oaks offers independent living in its Garden Villas and apartments, assisted living and memory care residences, and affordable independent living options. Stop by Twin Oaks Estates, Twin Oaks at Heritage Pointe, or Twin Oaks at Stone Ridge to take a tour of your new home. Visit twinoaks.me, call 636-542-5400, and find Twin Oaks Senior Living on Facebook.